We’ve all been there! For many of us, a job interview is one of life’s unnerving necessities. Typically tensions are high, competition is everywhere, and great job opportunities are very limited. But don’t let this process scare you! Having worked in Human Resources for several years, I’ve been at these hiring events, I’ve seen the good and bad, and interviewed countless job applicants. First impressions are incredibly important and your attire is one of the first things people will notice about you. Dress for the job you want! If you are looking for a corporate job, dress according to their dress code (typically business casual). Choose outfits that err on the side of standard, conservative appearance. Ladies don’t wear plunging necklines and short skirts. Men don’t wear an ill-fitted suit and tennis shoes. I’ve seen job applicants who were immediately disqualified simply because their appearance was sloppy or inappropriate. Dress in a way that makes you feel empowered and confident. If you feel confident and your appearance represents who you are, hold you head high and proud. People will associate your personality with your style. I have been in interviews where the job applicant said, “Oops! Sorry, I forgot to update my resume.” Saying that to a hiring manager is a careless, unimpressive mistake. If you want to be considered for a job, you must go to the interview prepared and professional. Resumes don’t have to be fancy, but they do have to be clear and concise! Google some resume examples. As a bonus, you can even buy some professional resume paper at Office Depot. Extra effort can actually go a long way. Research the company at which you are applying or interviewing. If you are going to a career fair, check their career page to see what positions they offer. If you are interviewed, you will probably be asked what you know about the company or why you applied to work for them. Taking the initiative to learn about the company before a conversation or interview is extremely important. If you know little about the company, it will become very apparent during your conversation. Confidence is an important, competitive quality to possess when standing out in a crowd of possible candidates. You don’t have to be an extremely self-confident individual to appear confident! Standing tall, good posture, eye contact, and smiling are some of the exterior changes you can make to appear self-assured. Learning and practicing ways to appear more confident will help you develop this skill and become more comfortable. You must be prepared and look organized! Buy a professional binder (Amazon $15). Bring additional resumes, several pens, a note pad, and your ID. Think ahead and imagine what could go wrong. Perhaps you need some breath mints! After one job interview, I was asked for my license plate number (security purposes). I had to make a long 15-minute walk to my car in a distant parking garage. Pro Tip: Create simple business cards. The cost is minimal and they are a great way to get your name into people’s pockets, wallets, and interview binders (in addition to your resume). There is something impressive and classy about having a business card, regardless of your age or status! Get in front of a mirror and practice! During college, I was encouraged to take a video of myself answering common interview questions. I was surprised at how many times I said, “Ummmmm…” Conduct an internet search for common interview questions – you will get many great suggestions. Come up with an answer to the questions you find most difficult. 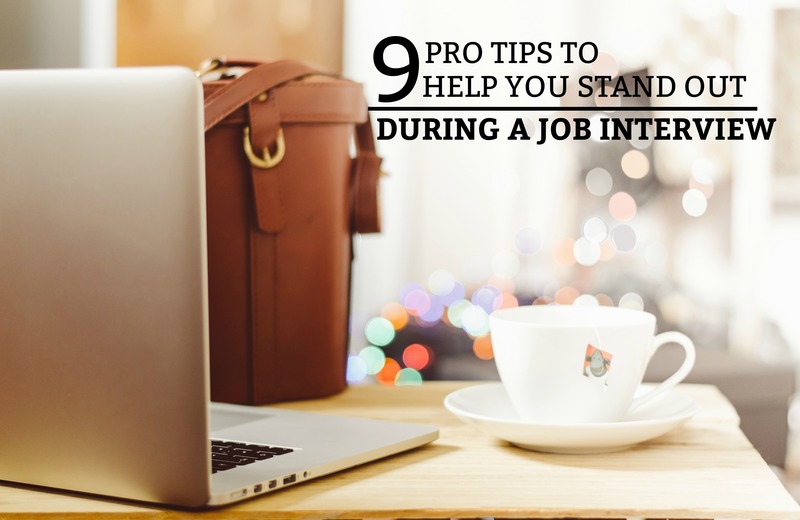 This will help you feel more prepared and confident when you are in front of a potential employer. This tip is of significant importance. Being late to an interview implies that you did not make this meeting a priority and that you do not regard timeliness as a necessity. If you are late for an interview, you will surely be late for your job! I always drove by the company location a day or two before I would my interview. This way, I would know its location, parking situation, and surrounding traffic patterns. I understand that mistakes can happen, but try to avoid this error. At a minimum, arrive 15 minutes early. Not only should you be respectful to the company representative you are meeting, but you should also be respectful of your past professional relationships. Make sure that you do not complain about a previous company or manager. It is a huge red flag when someone talks negatively about their past employment. Even if the complaint is merited, remain positive and respectful. At the end of a job interview, your interviewee will give you a chance to ask some questions. If you don’t have any prepared, create a list of questions to ask your potential employer! If you have educated questions, you will appear engaged in the interview and interested in the company. However, it is standard not to ask questions about pay and benefits on the first interview (unless they bring it up). This can be discussed after the job offer is extended to you. Following the interview, send an email or thank-you note to the person who interviewed you. Some say this is outdated and unnecessary, but this is false. A thank-you note should be the last step in the interview process. When I interviewed applicants, receiving an email or hand-written note kept them fresh on my mind and made a great second impression. A small effort like this can be a final deciding factor in bringing you in for a second interview. A job interview can be less daunting if you feel prepared – with a dash of confidence. Follow the nine practical steps above to have a successful interview experience. Hello! I highly recommend taking a list of questions with you to ask a potential employer at the end of the interview. However, I would not take a list of answers to the questions they may ask. It is important to show the interviewer your “true self” and answer the questions without the assistance of a note. Research possible interview questions and practice them until you feel confident. But, in the end, you have to be your genuine self. Practice makes perfect!